A Leader in the Super Alloys Industry. 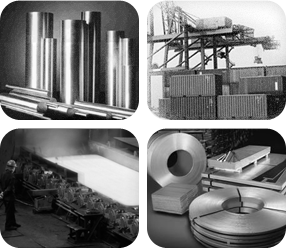 High Performance Alloys, Inc. (HPA or HPAlloys) is a leader in the super alloys industry. No other company offers the level of service and depth of knowledge that we give to our customers. We supply extreme environment industries with wear, corrosion and high temperature resistant materials. We offer both small and large quantities while still being able to ship many items the same day ordered. We provide many "in house" services to aid our customers in getting exactly "what they need, when they need it". We can supply products with the most demanding requirements and we invite you to put us to the test. Russ Kirchner, a Metallurgist and Corrosion Specialist, started this company in 1984 with the intent to sell requirements quickly and economically. Today, Russ's three sons - Russ, David and Jeff - manage the company in its day-to-day operations. We have expanded our product line and abilities to include manufacturing as well. Family owned and operated, we pride ourselves in delivering to our customers an unmatched level of service and depth of knowledge. We serve the special needs of the aerospace, chemical processing, oil-gas, medical and food processing industries with fast and friendly service. High Performance Alloys provides many services in house to aid our customers in getting exactly what they need, when they want it. Being a distributor, service center and a producer allows us to help our customers receive timely quotes for specific products. Many customers keep us in mind for their emergency needs, small quantities, and producing that special item that is not to be found anywhere. All this with the special attention that only High Performance Alloys can give - unbiased facts, information, and guidance.